Seesaw - Student driven digital portfolios and simple parent communication. For iOS, Android, Kindle Fire, Chromebooks and Computers with Chrome or Firefox. Free for teachers! There are two ways to help families connect to a class. Paper invite - Send paper invites with a QR code or web address. Email invite - Send an email that explains Seesaw and provides a link for families to access. There are some great ideas in these guides! 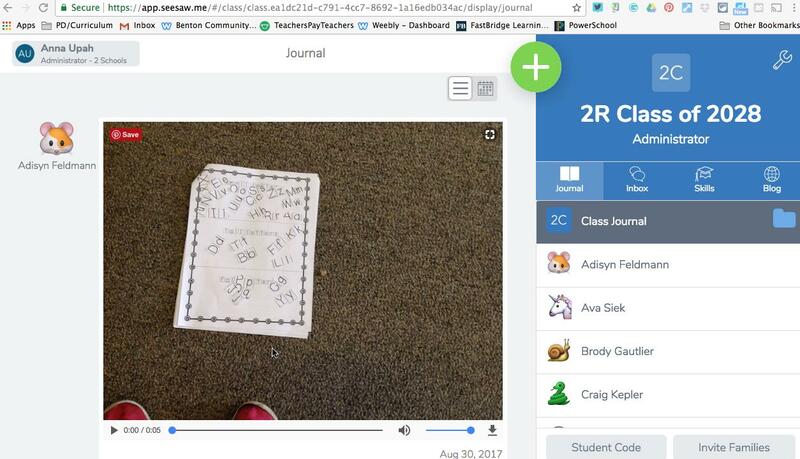 Check out the visuals for a recording spot, adding to your journal during math or writing, WOW work, and more! 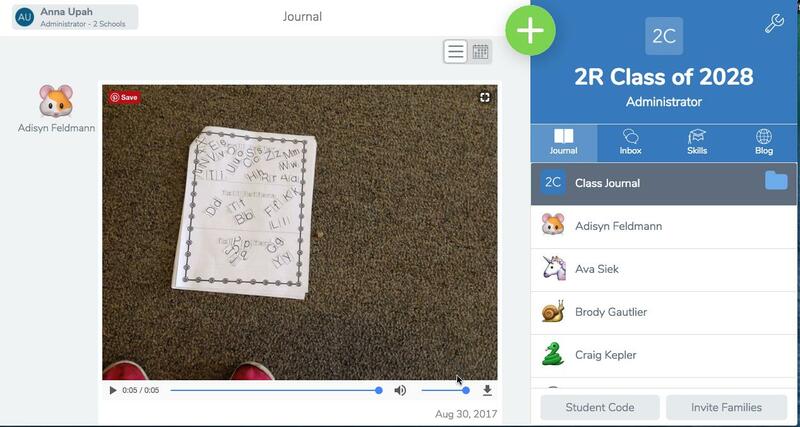 Benton CSD priority standards have been added to Seesaw Skills at Keystone Elementary. This is a great way to attach standards to student artifacts to build your body of evidence. The Seesaw Skills tab on your Teacher Page will give you a great color coded visual of standards that have been assessed and where students on in their level of understanding. Tap on the graduation hat icon under the artifact. Select the standard (skill) you'd like to attach to the artifact. Assess the artifact using the 4- star scale (aligned with our district-wide proficiency scales). This step is optional. Seesaw HELP has many great resources. You can look to this resource for information in adding artifacts, lessons for your students, ways to engage families and more! Seesaw offers daily webinars called PD in Your PJs. Check out their calendar or options HERE.